He proceeded to play me two complete parts of a wickedly delicious reel. 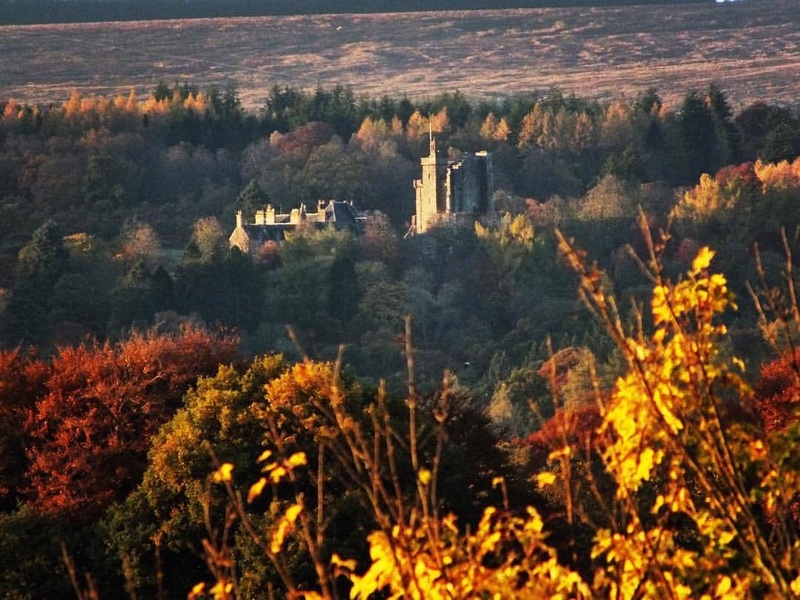 I figured it must have been a tune handed out at band practice that night, but when I asked him what it was he said the tune came to him as he passed the gates of Drummond Castle on his way in to Crieff, on the last mile home. View of Drummond Castle from our music room. Although I had witnessed these spontaneous compositions come out of him dozens of times before, I sill found it mind-blowing that he could take a tune from his head, transfer it perfectly up to speed on to the practice chanter and it would sound that good the first time he breathed life into it. Composing is almost effortless for Mark. It's as if fully composed tunes are somehow transplanted into his brain and he is the conduit for allowing the music to come to life. The first person to record The Last Mile was one of Scotland’s most recognised and accomplished fiddle players and composers, Duncan Chisholm. Our piper friend, Stephen Saint, played in Wolfstone with Duncan so we got to know him on a trip to Copenhagen and some other times with the band. 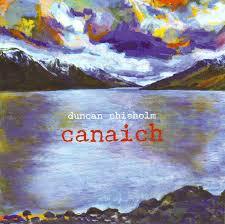 You can find The Last Mile on Duncan's solo album, Canaich. on the Exile Reels track, starting at the 2:09 minute mark. Duncan also performs it here with some other top musicians. They do a phenomenal job of The Last Mile. Boy, is it a crackin' track. It features Duncan Chisholm, Jarlath Henderson, Ali Hutton, & others. Clicking on any of the photos will take you directly to the music mentioned. 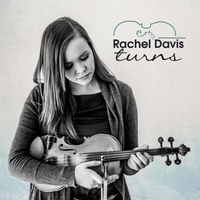 The Last Mile is also on Rachel Davis' Turns Cd on the 'March To The Landlord's Walk' track (4:44 mins). Rachel heard Duncan playing it at a festival and went home to Cape Breton and taught it to herself. 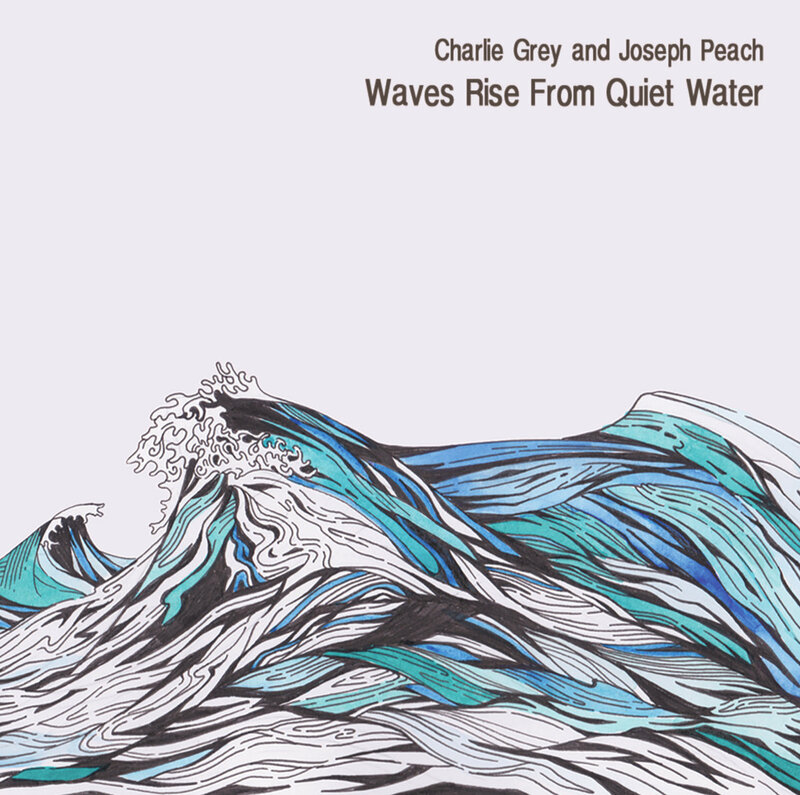 Scottish fiddle/piano duo, Charlie Grey and Joseph Peach give The Last Mile a bit of a techno/Gaelic twist on their album 'Waves Rise From Quiet Water'. 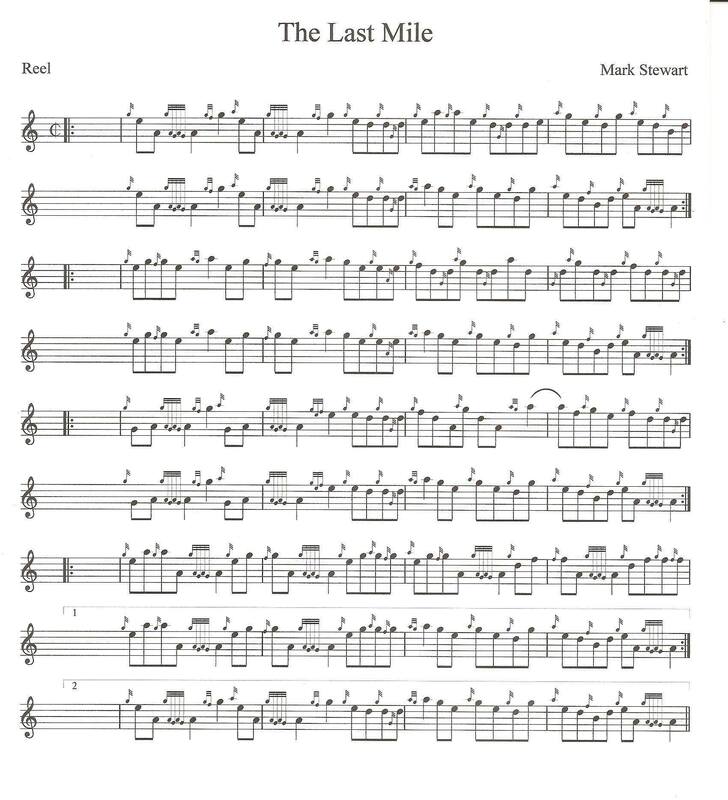 The Last Mile was originally a two parted tune when Mark gave it to Duncan Chisholm. 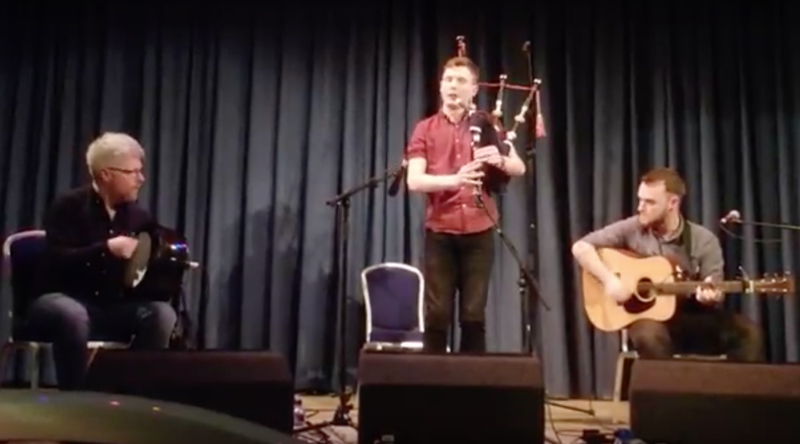 However, when Fife Police Pipe Major, our friend Douglas Murray, heard the tune he loved it, but asked Mark to add another two parts for the band to play in their Medley. Within a matter of minutes Mark had another two parts written. 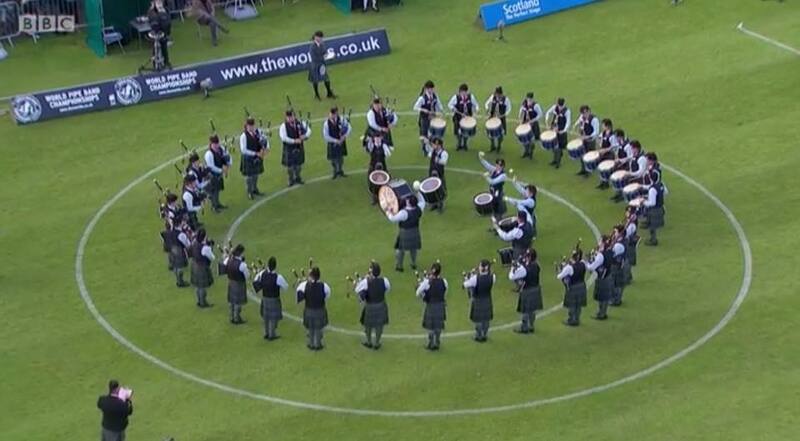 Here is a clip of the Fife Police Grade 1 PIpe Band ending their Medley with the Last Mile at the 2014 European Championships. Mark is also a member of the band. 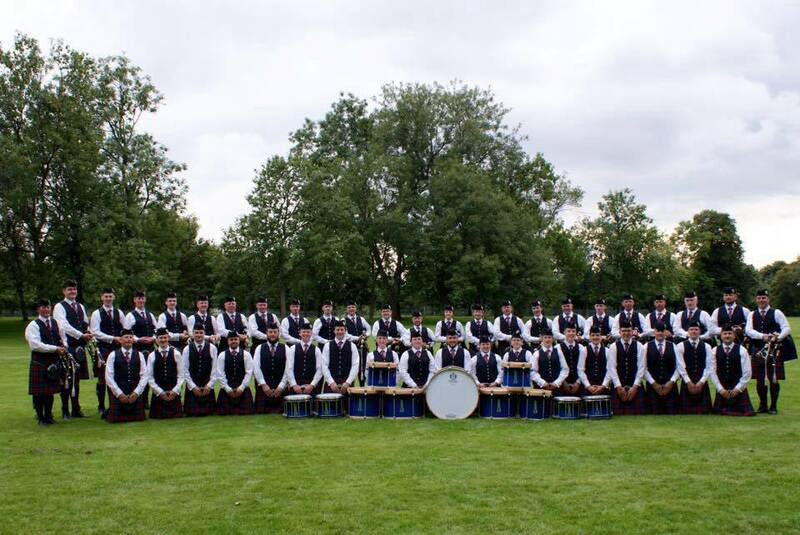 Pipe Major of the 78th Highlanders Halifax Citadel Grade 1 Pipe Band, Alex Gandy, ended his solo medley with The Last Mile at the 2015 Metro Cup competition which he went on to win 1st Place. The 78th Highlanders Halifax Citadel Grade 1 Pipe Band end one of their medleys with The Last Mile. 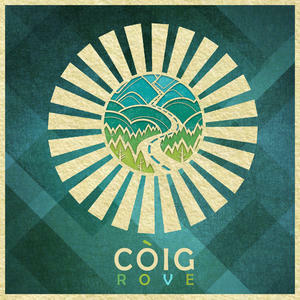 Còig feature The Last Mile on their latest album, 'Rove' on the Gaelic track Am Bothan a bh' aig Fionnghalla. 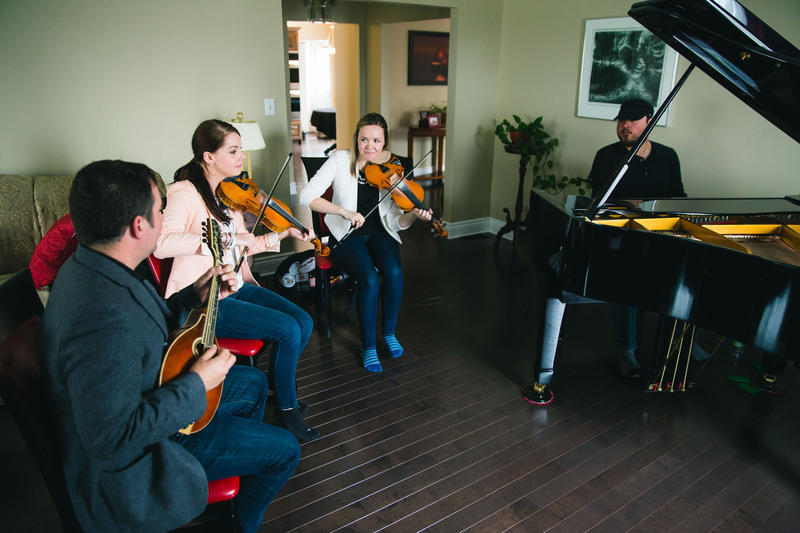 The band consists of Chrissy Crowley (fiddle, viola), Darren McMullen (guitar, mandolin, mandola, banjo, bouzouki, baritone guitar, flute, whistles, vocals), Rachel Davis (fiddle, viola, vocals) and Jason Roach (piano). 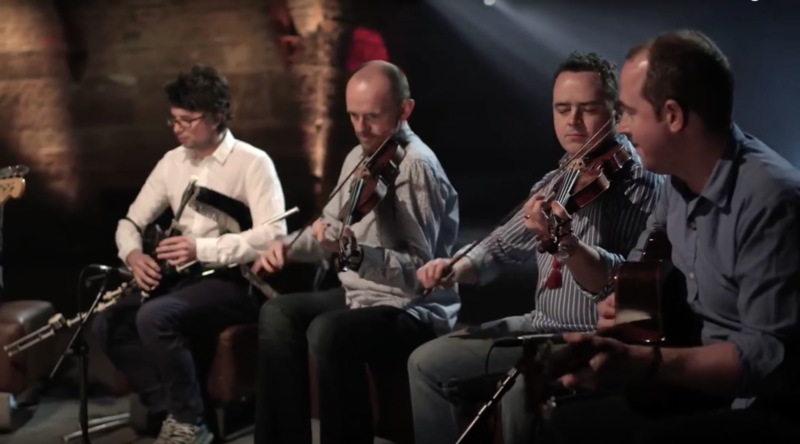 You can also catch Còig playing it as part of their D Jigs set on the Old Crow Magazine. 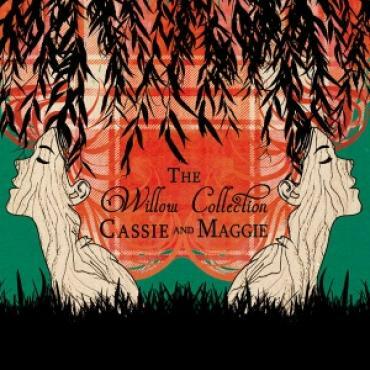 The Last Mile starts at 1:37 minutes in the Strip The Willow Set by Cassie and Maggie MacDonald on their 'The Willow Collection' album. 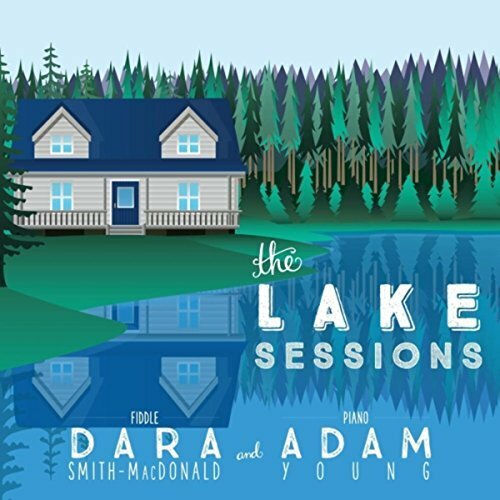 Dara MacDonald and Adam Young recorded The Last Mile on their new album, The Lake Sessions. It's featured on the track 'Settle In' and starts at the 5:14 minute mark. 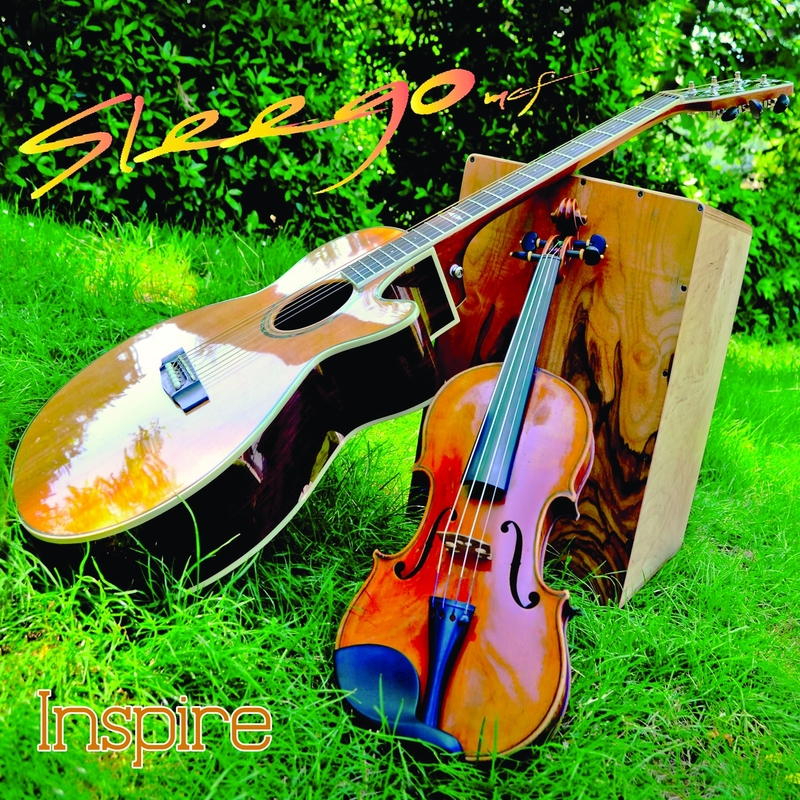 Sleego, a modern Celtic Folk group from Italy, recorded the Last Mile on their debut album. Inspire. It is featured on the track 'The Exile Reels' and starts at 2:46 minutes. Band members include Manuel Vignoli (violin), Domenico Strippoli (percussion) and Lucio Altieri (acoustic guitar). 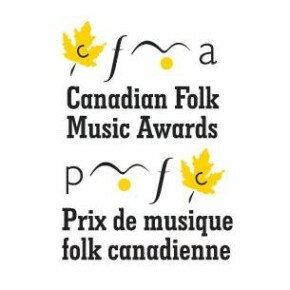 Two out of the five albums nominated for the 2017 Canadian Folk Music Awards in the category of Traditional Album of the Year feature The Last Mile. 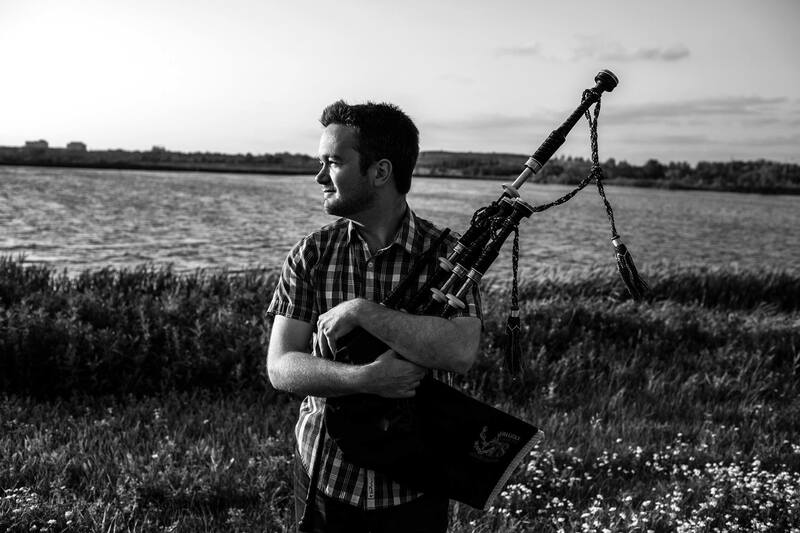 Glasgow based, neo-trad project featuring Ali Levack & Pablo Lafuente. Smok’s debut album, “Horizon’s” was released in the spring of 2018. As well as their own input, it features the bodhrán playing of the legendary Martin O’Neill. This was a relatively impromptu/quick fire set of tunes to close their album launch set a couple of weeks ago at Celtic Connections 2018. It was a lovely surprise to hear Mark's 'The Last Mile' at the 4:26 minute mark. You can download/purchase/stream their album, 'Horizons' now via Bandcamp/iTunes/Spotify/Apple Music. Mark is happy to share his tune with anyone wanting to learn so I've attached it below. For those planning to record it, it is registered with SOCAN.